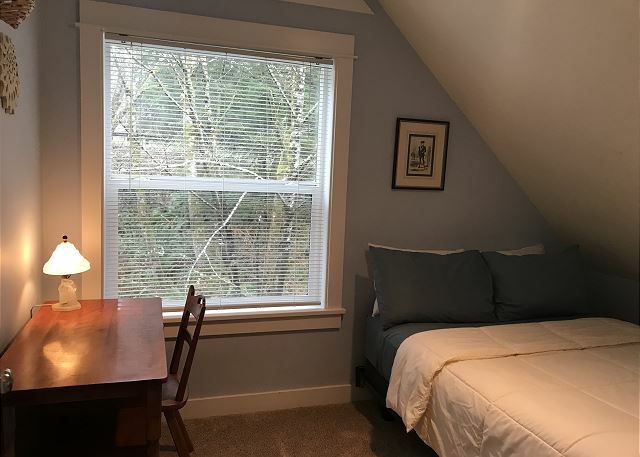 The Beech House is located at the north end of Cannon Beach surrounded by trees for that quiet neighborhood feel. 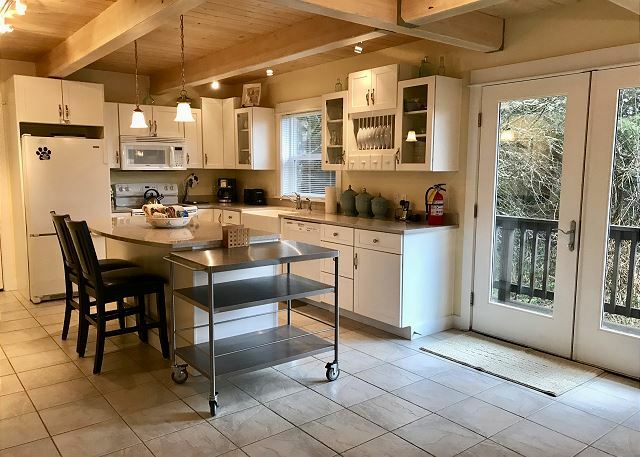 This property is only a short walk to the beach or downtown, or for the more adventurous hiker, just steps away from the 2.8 mile trek to Indian Beach in Ecola State Park. 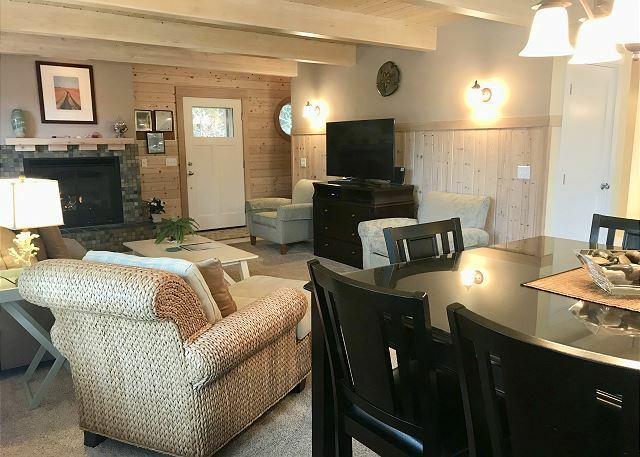 Spacious, light and airy with exposed beams and well-appointed beach decor, the living area offers a great place to curl up with your favorite movie or book by the gas fireplace. Flowing from the living area, the dining table invites hearty conversation over a glass of wine or board games. 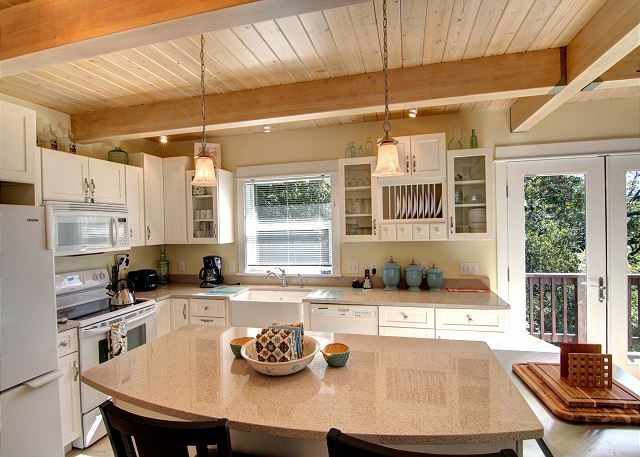 The adjoining well-stocked and ample kitchen makes vacation meal preparations a breeze. 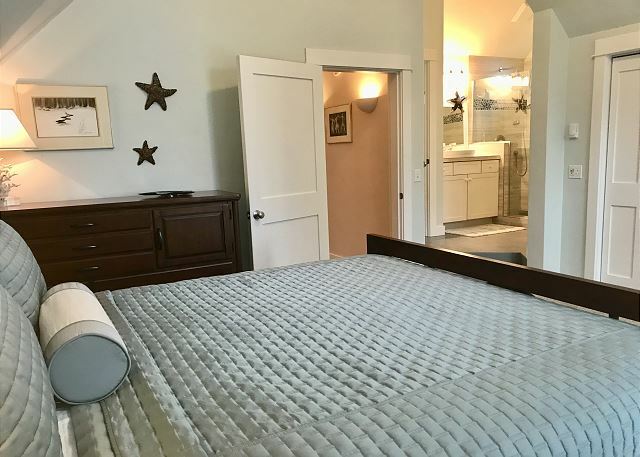 This main level also conveniently includes a bedroom with a Queen size bed, a full bathroom with shower, and utility area with a washer and dryer. 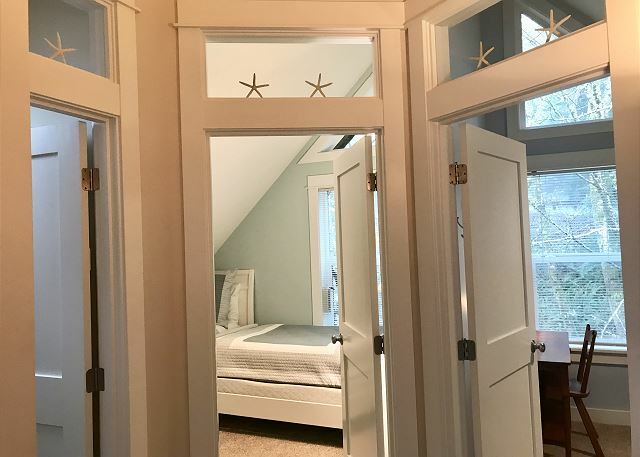 The upper level features three bedrooms. The generous King sized master suite not only provides a peek-a-boo surf view, but features a unique and sumptuous walk-in shower, which is accessible to the other bedrooms on this level. 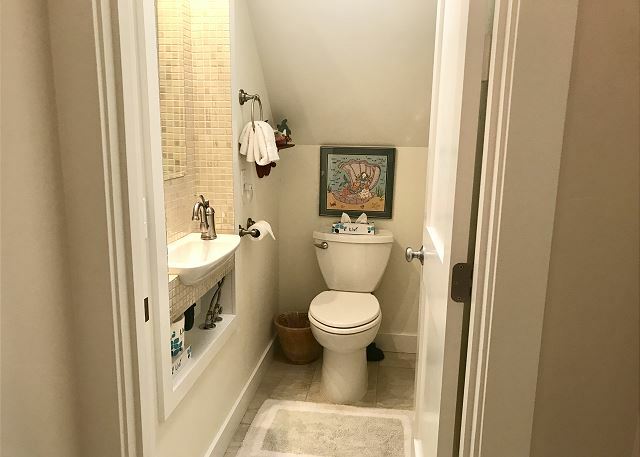 A private toilet and sink is also in the master suite. 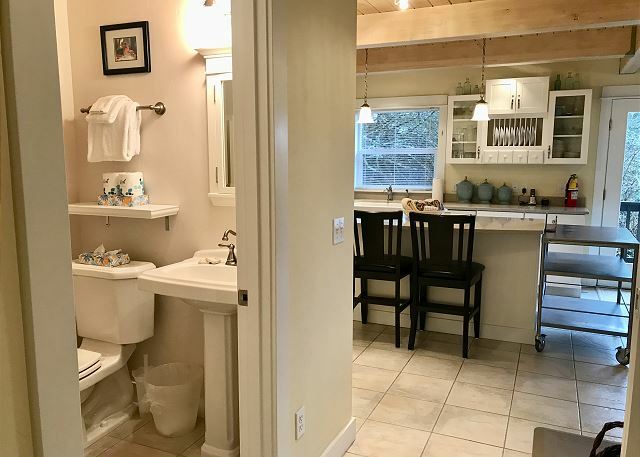 Off the hallway, a powder room is available for the other two bedrooms. 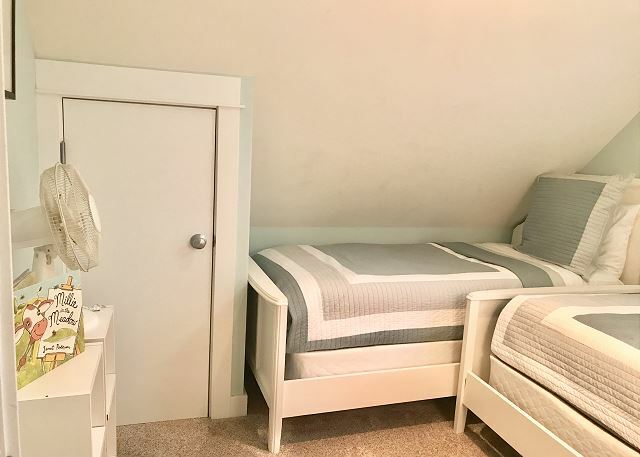 One bedroom has a Full sized bed, while the other provides two Twin beds. 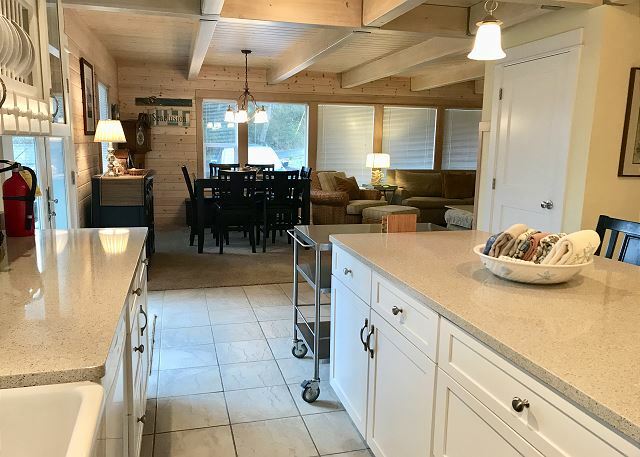 Enjoy the very large wrap around deck, creating various areas to enjoy the sunny day or BBQ out back. 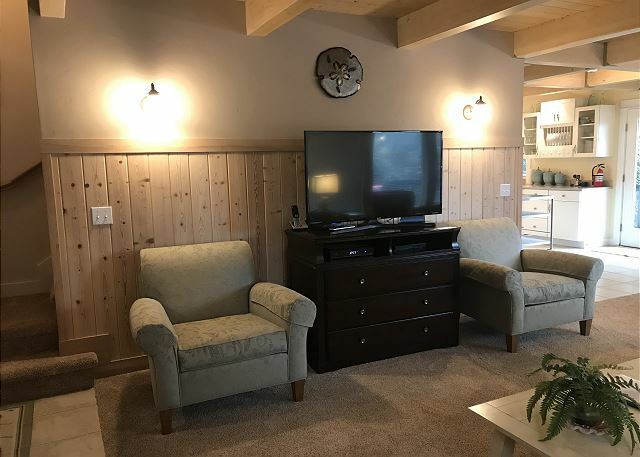 Accommodates 9 maximum; one 25 pound dog permitted; no smoking; parking for 3 vehicles. 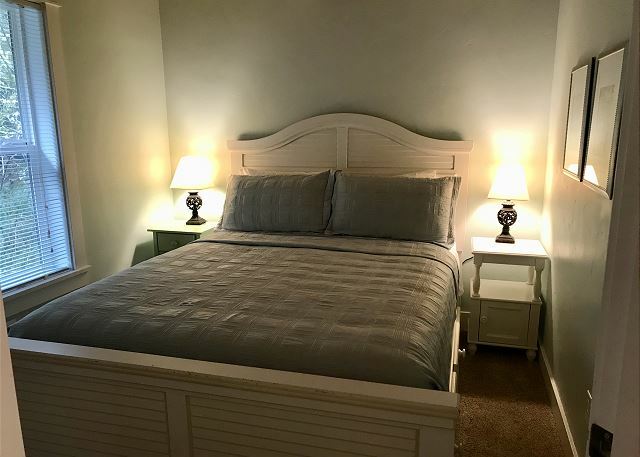 3 night minimum stay, except during the summer months. 7-night minimum stay during summer months with a Friday arrival date. "It is hard to say just one thing about what made it exceptional. 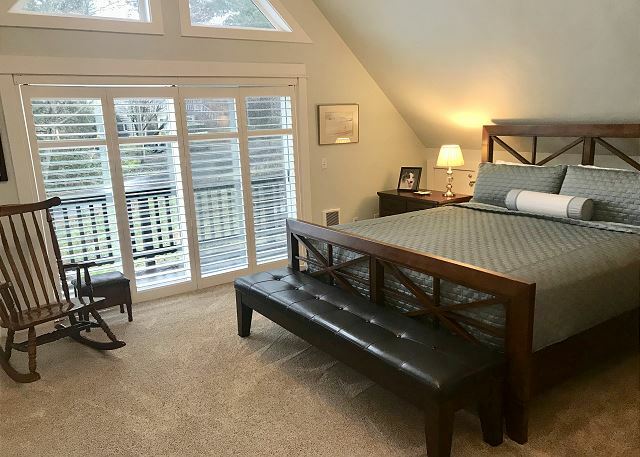 The house was beautiful, comfortable, and the beds were fantastic. 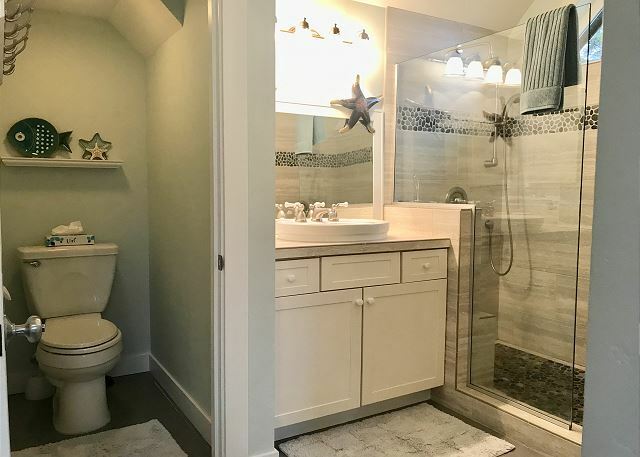 We would definitely rent this home again." 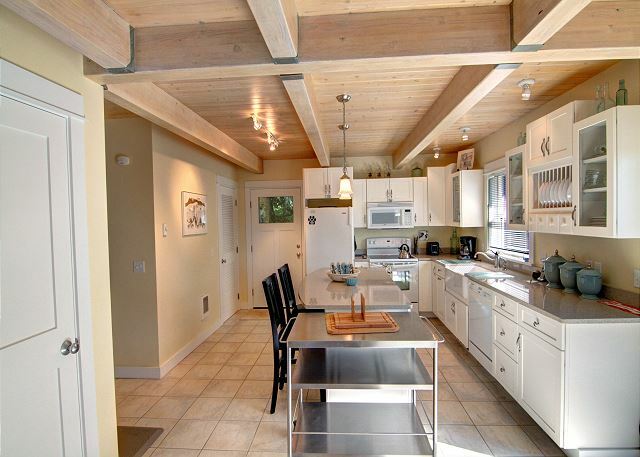 "It is a very comfortable, beautiful home within easy walking distance to town and the beach. 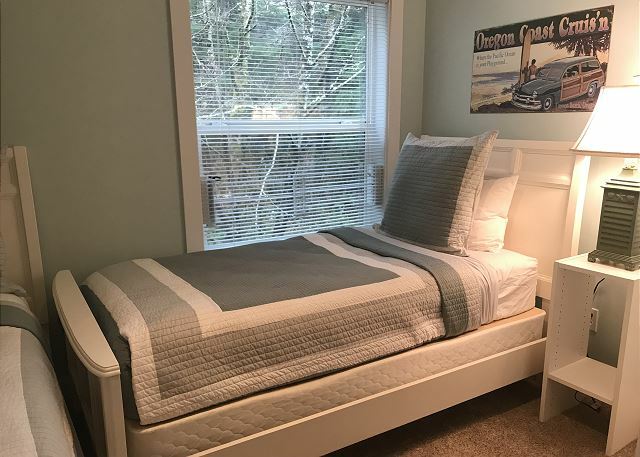 The beds were very comfortable and the home had everything we needed for a perfect stay at Cannon Beach. We will definitely rent this home again. " It is wonderful to hear how much you enjoyed yourself, come visit again soon! 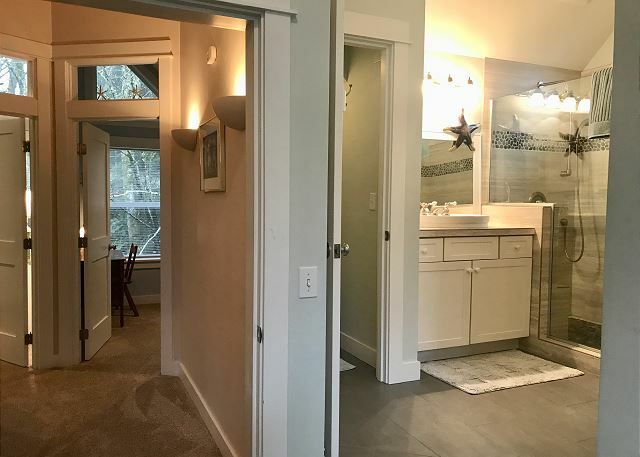 "The great, friendly response and service from Cannon Beach Property Management really helped us enjoy the stay. " 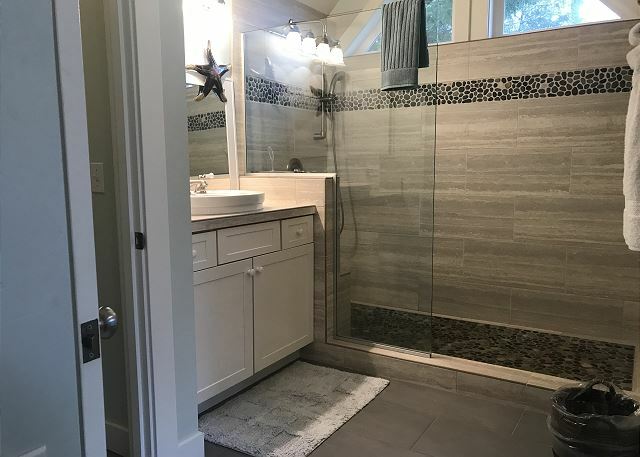 "Your company is always the best - we've been using your service over the last ten years and have been very pleased"
It was so nice to have your family back again this year, Lori! We are so pleased to hear you enjoyed your stay, again this year. Here's to 10 more! "We usually stay in a home right on the beach; however, that home was not available this year. 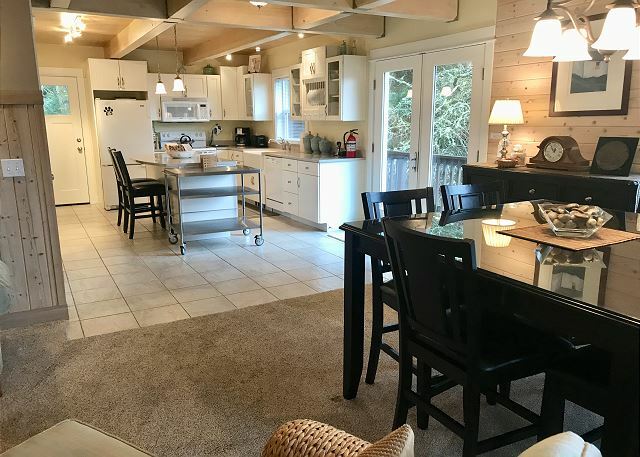 We chose the Beech House; what a wonderful alternative! We walk into a home with that "Pottery Barn Decor", a kitchen that was so well stocked we couldn't believe our luck. The owners have shared beautiful artwork throughout, their choice of reading material for both adults and children was great! We loved the gas fireplace, so warm and cozy. A short walk to town and the beach. The only reason we gave a 4 star for location is that we have been spoiled to staying right on the beach. We would stay again for sure!" 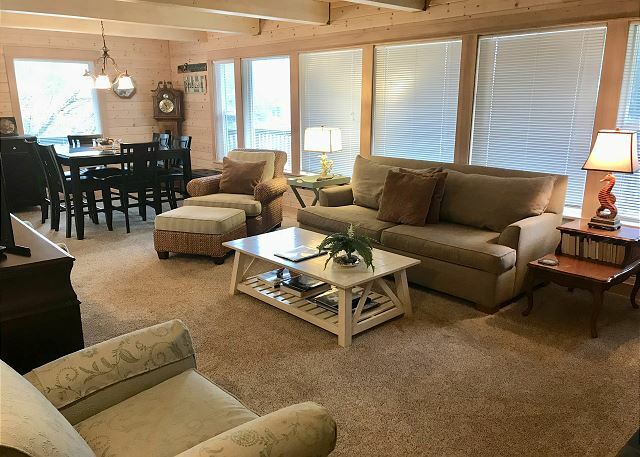 "This rental was perfect for our girl's weekend away! 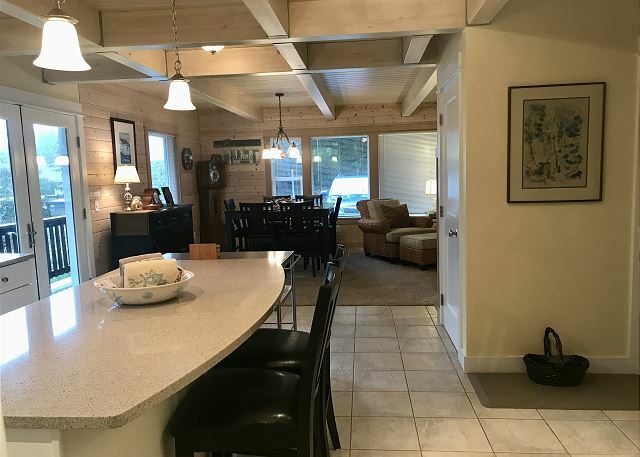 The location couldn't be more perfect - close enough to walk to everything we wanted in town and the beach but far enough away to be peaceful and secluded. 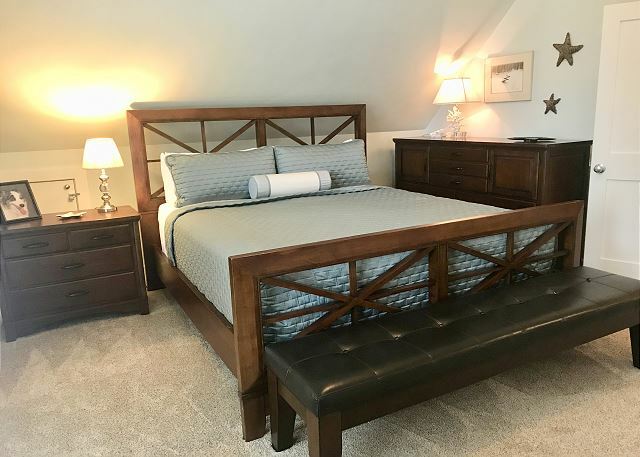 The home itself is amazing - high end finishes, beautiful furnishings and artwork, a well equipped kitchen and beds that are super comfortable. 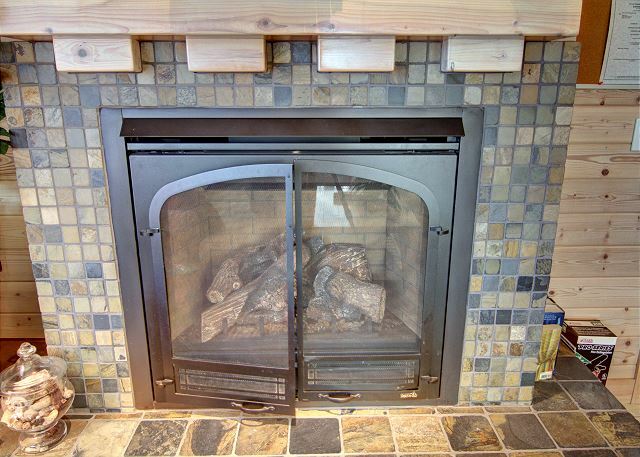 Loved the gas fireplace - so cozy. 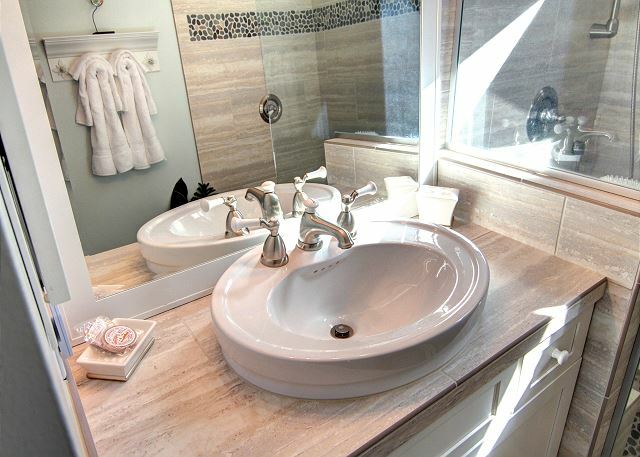 Everything was super clean and well cared for - you can tell the owners are very proud of this home and it shows. The rental company is great to work with - we were late to arrive and they were very accomodating. Would come back in a heartbeat! " 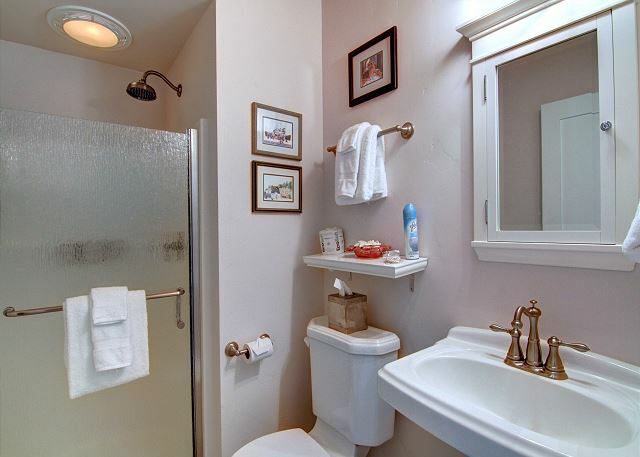 "The house was clean and very well maintained. The BBQ was in great shape and we had a great time cooking family meals there and relaxing. 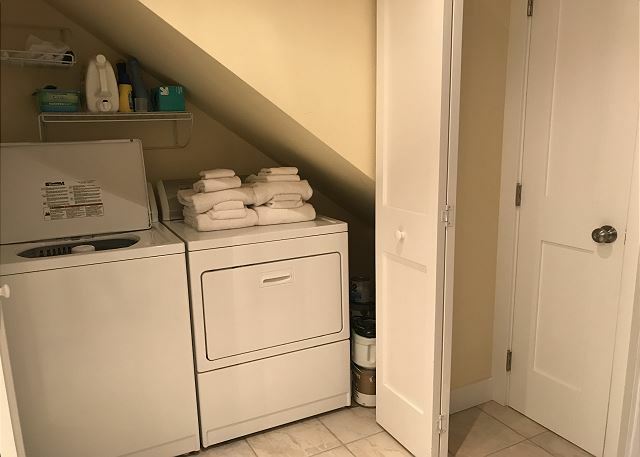 The only down we experienced was the Garbage Can and the Recycling Can outside were both full and had not been picked up like was indicated prior to arrival so when we arrived we had no place for our garbage as we prepped meals. 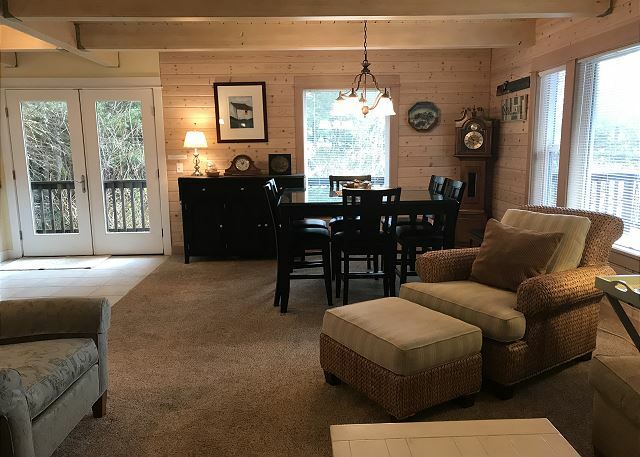 I would gladly stay here again as the house is very nice and comfortable." "The house is beautiful and although it doesn't have a beach view it didn't matter because of its location. 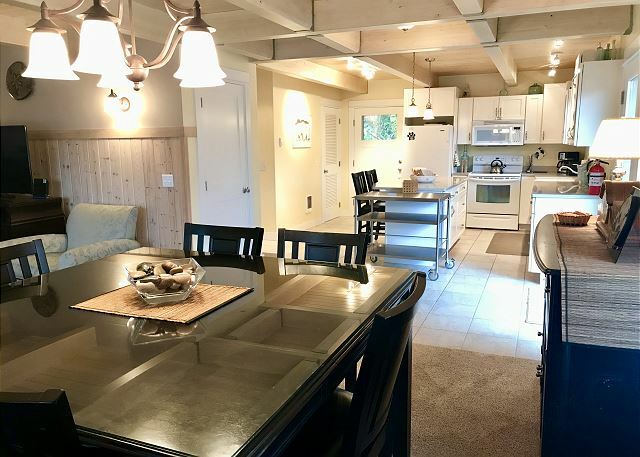 The proximity to town and the beach is excellent. The house itself is comfortable and we loved it. Very relaxing."